In order to purchase the softcover version of Living from your Soul simply click on the link below. You will be directed to Paypal where you can purchase the book by credit card. Your cost is only $14.95. 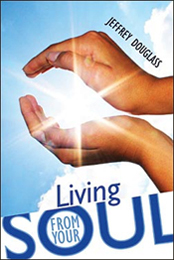 In order to purchase the e-book version of Living from your Soul simply click on the link below. 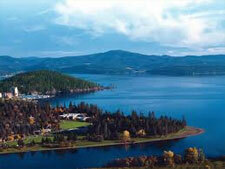 To preview Living from your Soul before buying click here for the introduction with option to buy. This is an executable file that is safe for your computer, but if you'd rather download it in a zipped format click here. Bonus FREE OFFER! Click here for details. Jeffrey has been a therapist for 34 years offering life changing counseling, coaching and retreats in person or by phone/Skype. Jeffrey is an expert in helping you learn how to use your issues as a spring board for the growth and the changes your spirit is longing for. Issues like struggling with low self-esteem, feeling depressed, stress at work or having trouble communicating with your partner have the power to transform your life in surprisingly rich ways when approached in the right way. Then, negative events can be used to realize a depth of love and wisdom residing within your Soul that reveals new possibilities. Instead of trying harder at what isn't working, which can be very frustrating, understand your issues as a call to discover yourself anew. Answering this call is Jeffrey's specialty. With his guidance, discover a new path that reveals, reclaims and restores your trust in your life and who you are. What if Experiencing Your Divinity Were Simple? A book outlining a simple and profound way to know your essence and live with greater ease and joy. “Living from Your Soul” offers a psychological understanding of the ego or the ordinary sense of self integrated with spiritual queries that give you direct, experiential knowing of your soul. 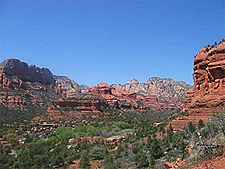 Spiritual Retreats in Sedona, AZ, Coeur d' Alene, ID and the U.S.
All spiritual retreats occur in areas of unusual natural beauty, like Sedona, and include silent nature walks and, in most cases, live sacred music performed by professional musicans. You are like a master gardener, lovingly nurturing each one of us as we blossom and ripen into the fullness of our Being. You are helping to change lives."